Email can be a powerful marketing tool for any business, but it's not exactly straightforward. 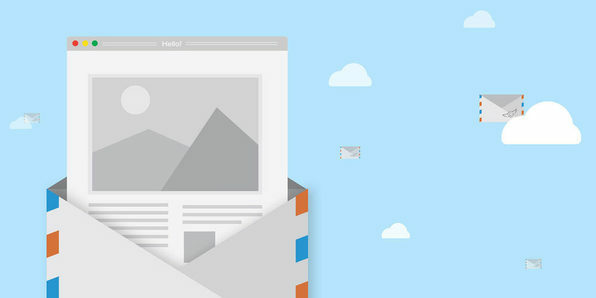 Marketing expert Jeff Goins demystifies this complex tool by showing you how to start an email newsletter, build a mailing list, and effectively market to it. Whether you’re trying to convert more sales or just reach a wider audience, Jeff will help you foster the know-how to build a strong, lucrative email marketing campaign that will take your business to the next level. Originally from Chicago, Jeff moved to Nashville after graduating from college and spending a year traveling with a band. In college, Jeff studied Spanish and Religion and spent part of his Junior year in Spain, which unlocked a passion for travel, writing, and making a difference in the world. After a year of letter-writing and long-distance phone calls, he moved to Tennessee to “see about a girl.” In 2008, he married her. Now, he lives with his wife Ashley, their son Aiden, and their dog Lyric just outside of Nashville. Jeff is the former Communications Director for Adventures in Missions, a nonprofit organization, and he spends his time writing books and trying to take over the Internet. He’s written and guest-blogged for over 100 magazines, publications, and blogs.